If there are technical problems, our customers have fast, experienced assistance at hand. Flugtechnik Stuttgart GmbH have many years experience and are a "one-stop shop". They offer a performance profile ranging from European approval for up to 5.7 tonnes, through the maintenance of business jets, right up to complete major overhauls of piston aircraft engines and assemblies. 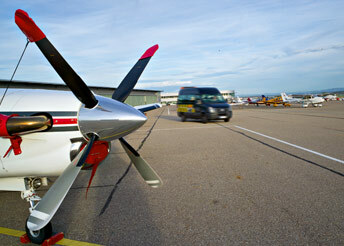 Atlas Air Service has been operating a service centre in Stuttgart especially for the Cessna fleet since 2010. The company is EASA Part-145 approved, offering a full line service for the whole Cessna Citation fleet. This includes overhauling, repairs, inspection, replacement and modification work, and maintenance according to the manufacturer's instructions.